When Celebrities are bold in their Faith or outward with their Faith, these are not things of the norm though they are of the norm now. We see a lot of people doing this however don`t want to think that its kind of a fun train that everybody is jumping on. This is actually something sincere they are doing. 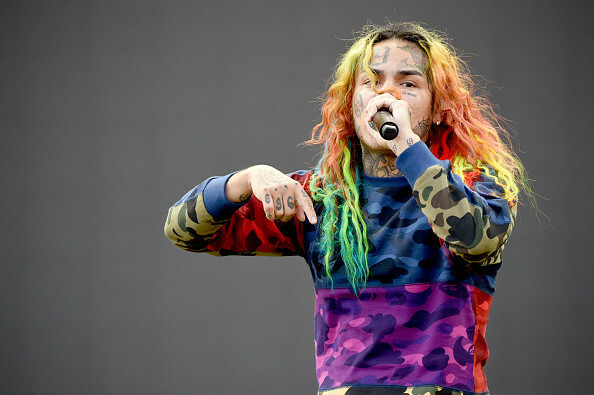 Tekashi 6ix9ine is one of the latest to do this. There are some photos of him being prayed for and he was getting spoken to. After some digging, looks like he was invited to be honored at “Stop The Violence Peace Concert” in Brooklyn, New York by Bishop Lamar Whitehead and later gave his life to Christ. 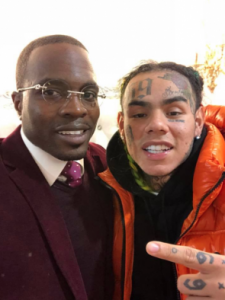 Whitehead and those in the church assured Tekashi that they will support him and know that he has a great heart. “This young man that’s standing next to me, right here, I have his back. I’m his bishop; I’m with him,” “This young man is going to be working with me with tons of initiatives and we’re going to be doing charity together. And guess what, he’s going to talk to me; he’s going to answer to me as a spiritual advisor. Let me help him change.” said Bishop Lamar Whitehead addressing the congregation. “I’ve performed around 100,000 people and I’ve never felt this type of nervous,” Tekashi said when asked to talk at the conference. The young man could not get himself to say much else and just rocked back and forth during the service but noticeably took every word in and applauded most of what the bishop said to and about him. The type of people we want to address here is 50 Cent, Tekashi 6ix9ine e.t.c because they speak these things (violence, drugs) in their music. There’s no telling whether or not this will be the beginning of a new road for Tekashi 6ix9ine but the seed has definitely been planted.